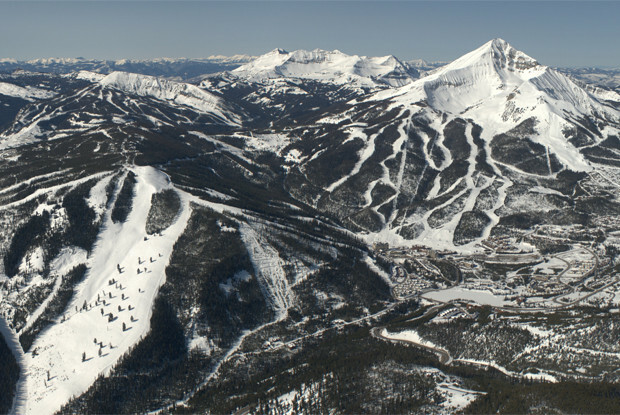 What are the ski conditions like right now at Big Sky Resort? Read commentaries and see photos from fellow skiers and riders sharing their on-mountain experiences. Check back daily for new user-generated firsthand reports from Big Sky Resort to see ski conditions, new snow and general stoke from the slopes along with images. Firsthand reports are submitted via the OnTheSnow Ski & Snow Report App. Download the free app to be part of the conversation. Just finished a great week here. Sunday through Wednesday we’re perfect spring conditions. By Friday, the slopes become ice and slush. Need some Cole weather!! Still fun for the lack of snow. Went during the week so their was no jerry lift lines. Can’t imagine how fun this place would be in powder. Sheet of ice. No snow in forecast. I’m an IKON holder and got yelled at By some locals. Very disappointing. Lift lines longer then I expected. very firm spring conditions. The air is still cold, and little melting has happened, so offpiste is just barely skiable at the end of the day even in full sun.